The nastiest feud in the airline industry has taken another turn. On Tuesday, Emirates released a commercial ridiculing United Airlines after disturbing video surfaced of law enforcement violently removing a passenger from one of the Chicago-based carrier's flights. In a dig at United and its CEO Oscar Munoz, Emirates offers a modified version of the US airline's famous "Fly the friendly skies" slogan. In addition, Emirates uses the new ad to remind the public of the many accolades it has won over the past year. Over the past few years, United along with American and Delta have been highly critical of the Dubai-based airline. 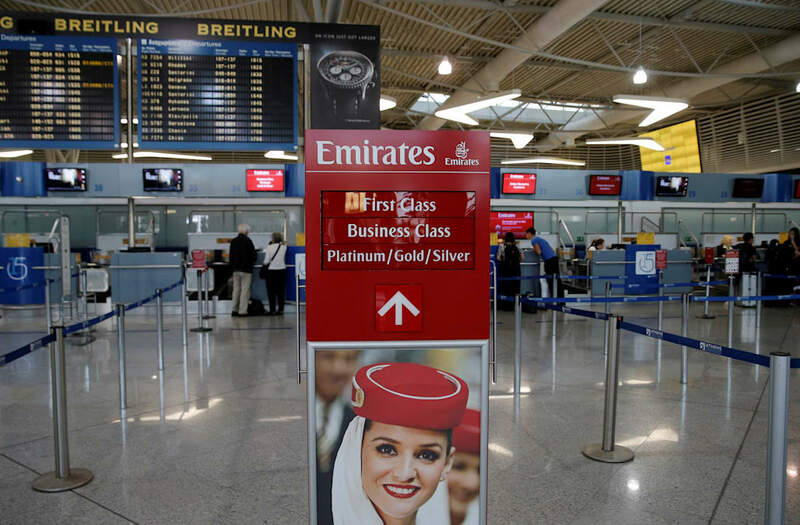 The US trio has accused Emirates along with Etihad and Qatar Airways of cheating through $50 billion of government subsidies. The same time, the US airlines have lobbied to curtail their Middle Eastern rivals' access to the US market. In March, United Airlines employees held a rally at Newark Liberty International Airport to protest Emirates' new flight from Newark to Athens, Greece. Earlier this year, Munoz told Business Insider that the Middle Eastern airlines are a threat to US jobs. Emirates president Sir Tim Clark fired back last month calling the accusations "infantile." United responds to crisis by calling the passenger "disruptive" and "belligerent"